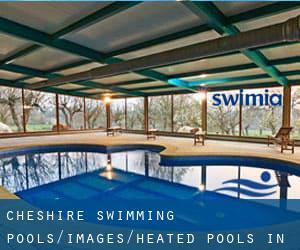 Please check the nearest Heated Pools in Cheshire or Contact us to ADD IT. It's free! Please contact the facilities to check which activities are providing and their timetables. Traveling to Cheshire? This is the best spot on the web to find locations to swim in Cheshire. Every day you are not swimming you might be losing precious time to improve your abilities a be a better swimmer! No far more excuses!. Most of the Swimming Pools offer both open lanes for independent swimming and also guided activities like water aerobics or aquabike. 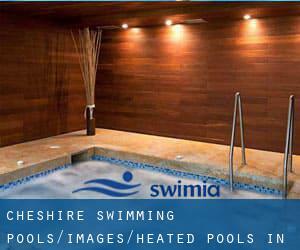 Thanks to some new Heated Pools in Cheshire submitted every day, Swimia.com is increasing daily the number of stored pools. Please don't hesitate to contact us for those who come across any inaccurate or incomplete info. Swimia.com desires your feedback to ensure all the information and facts is valid, since maybe this pool is no longer open to the public. It's difficult to visit Cheshire devoid of dropping by Bowdon (with 6.214 residents). Currently Swimia is showing you all the Swimming Pool in Bowdon and the closest pools situated in its vicinity. Whereas Poynton is one of the six most populous cities in Cheshire with nearly 14.351 residents, you shouldn't miss that one if you're going to Cheshire. Swimming is often a excellent idea to keep your body active during your visit to Over (Cheshire), or even if you are a local. Swimia helps you to find your closest Pool in Over. Let us let you know a secret to switch off while you might be in Appleton Thorn: just pick out a Pool in Appleton Thorn and plunge into the water! There's no extra effective strategy. Holding an estimated population of 2.218, Halton is among the most important cities in Cheshire. Check all the Swimming Pool in Halton and its surrounding area. Without a shadow of a doubt, swimming in Rode Heath will be the finest way to unwind right after function. Take a couple of minutes to browse Swimia's catalog to find a Pool in Rode Heath. Yew Tree Lane , Poynton , England , UNITED KINGDOM (Postal Code: SK12 1PU). Among all the activities offered by the center, should you be interested in swimming you will delight in 20 meters x 9 meters, Indoors. If you might want to contact this Swimming Pool, email address and phone number are both number.